The basis of the demonstration was a carefully orchestrated distribution of design tasks among the ten members of the team. The chosen subject was the design of a high-density low-rise urban fabric and its application in a given urban context. The idea was that no design decisions needed joint approval. Given a set of thematic principles that defined the urban fabric as such, provided by the supervising urban designer in the person of the team leader, team members chose in mutual consultation to work out in detail specific thematic aspects – the so called thematic explorations – the results of which would be used by others in the team later on. Next, team members designed an entire urban field, in full architectural detail, in a given urban context: distributing parts of it among themselves and using and integrating the result of the available thematic explorations. The result of the demonstration was a fine grained urban fabric of great coherence and continuous variation produced in six weeks. 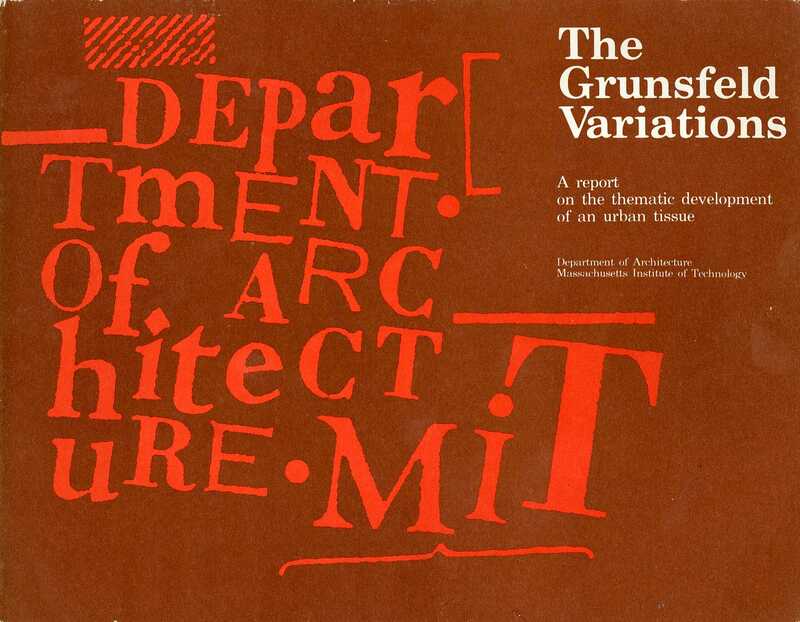 The project was documented in a 120+ pages report titled “The Grunsfeld variations” . A selection of some thirty pages is attached with this post. It gives an insight in the organisation of the workshop and its results. the full report is available for downloading at the habraken.com website.